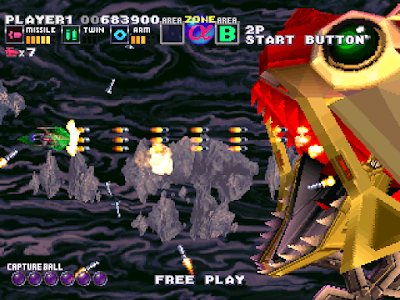 This is part two of my top shoot'em ups for the original Playstation. If you missed my top ten, you can view them here. Note that some of these are Japan region exclusives, and you will need some medifications or other methods to play them. 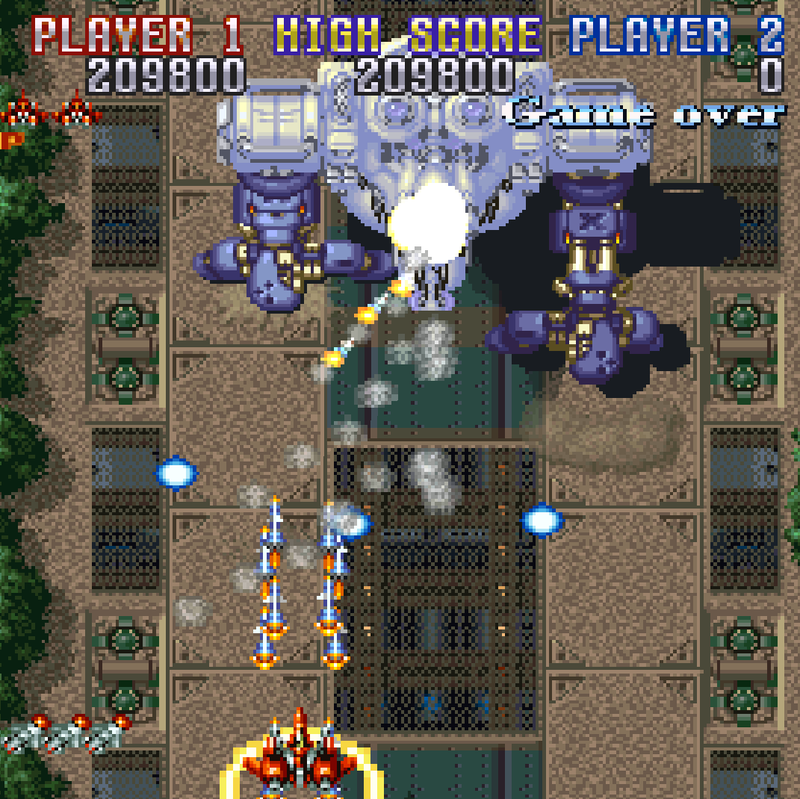 Raycrisis and Raystorm are very similar in theme and gameplay. I think one is the sequel, or prequel to the other, its hard to tell as they are both set in the future. Everything is rendered in 3D for both games, and they haven't aged all that well. Once you accept this there is fun to be had here. The primary game mechanic here is the lock on targeting for enemies in the background plane. Your main laser is fine, but the real fun is using the targeting reticule and taking out enemies before they arrive on your plane. Of the two, I prefer Raystorm, as I feel the control is better. In both games, there is a slight return to center if you let go, giving is a slight "on-rails" character. The pull to center is a bit too strong on Raycrisis for my liking. Maybe you won't notice it, maybe its in my head. It's not a deal beaker. Another Darius game in a long line of Darius games, G-Darius makes the leap into 3D (actually 2.5D as it is still side-scrolling) with mixed success. The Bosses are larger than life and look good, but almost everything else doesn't. 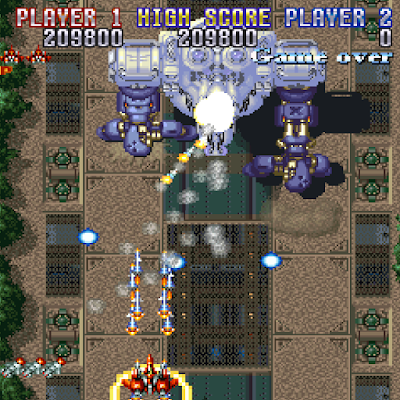 The gameplay is traditional Darius gameplay, except for the new capture ball that you can through at enemies (usually mid-bosses), and force them to fight on your side. A novel tactic that was explored in Darius Gaiden, but put to greater use here. Overall its a fun Darius game. 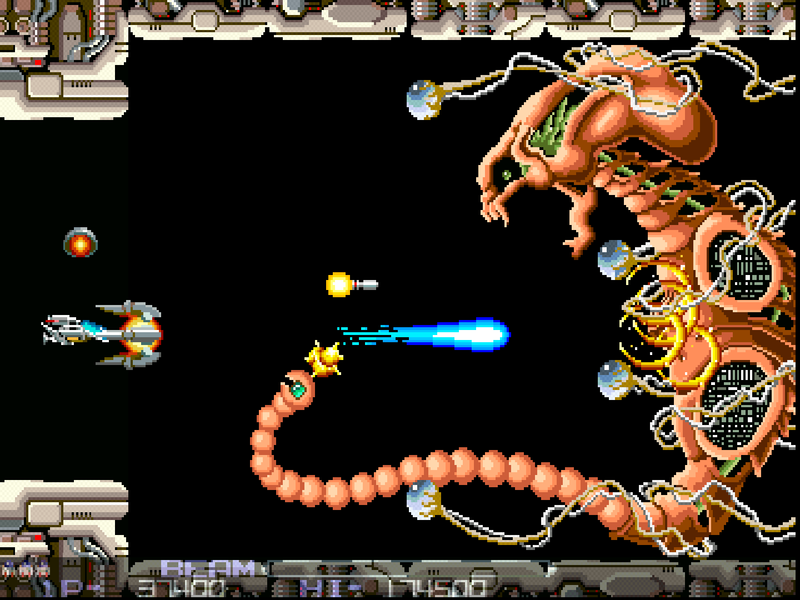 From what I can tell, this is a near arcade perfect port of R-Type. 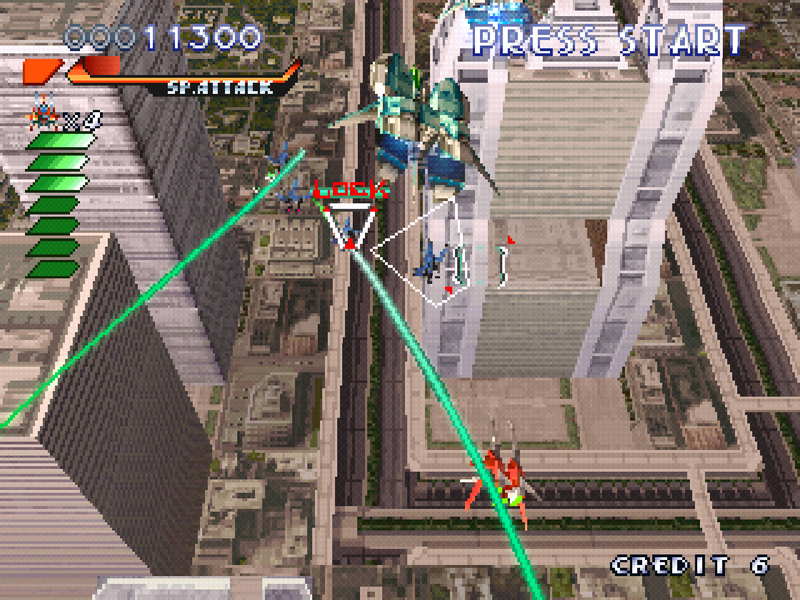 There are a couple of home ports of this game, but I think this is the best, it looks great through RGB via scart. I am terrible at this game and nothing has changed. Both R-Type and R-Type II are on this port, and some options are selectable at the onset as well. I wish I were better at this game, as I feel my enjoyment of it is limited due to its punishing difficulty. Its a great game, I just have some kind of mental block where I die at the same point over and over again. One day I'm going to practice and try to get through it. One day. This game is a fairly straight-forward game. 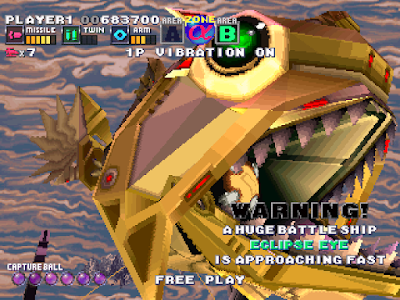 Known on the Sega Saturn as Shienryu, the localized name doesn't do it any favors. I can't see it flying off the shelves with a name like that. 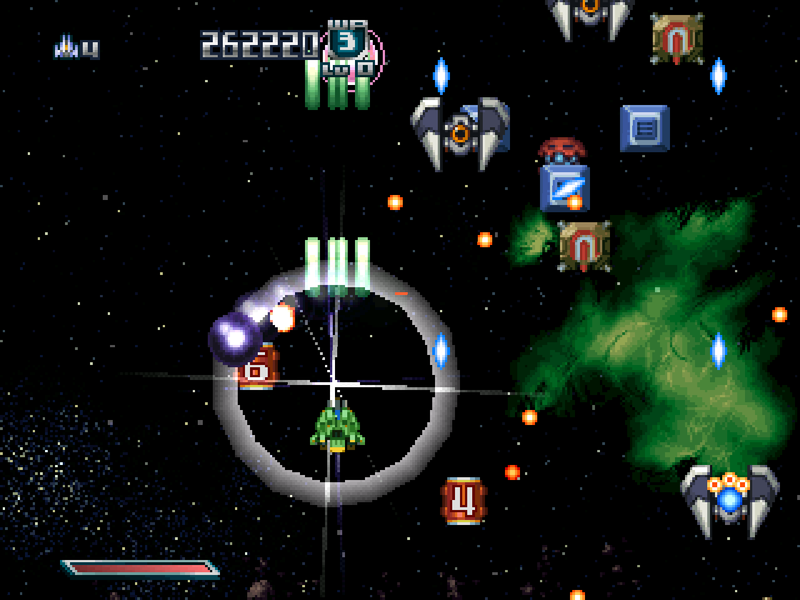 Anyway, its a very competent 2D vertically scrolling shooter, with some very nice effects. When enemy ships are hit, they trail downward, venting smoke all the way until they impact. This is impressive for a sprite-based game. The lightning weapon is equally as impressive when powered up; it jumps from enemy to enemy as it dispatches them one by one. Also present are a typical vulcan that widens with power ups and missile salvos. The character of the bombs also change, depending on which weapon you have. Control is smooth, and speed up capsules are available. Its a fun, lesser-known title. 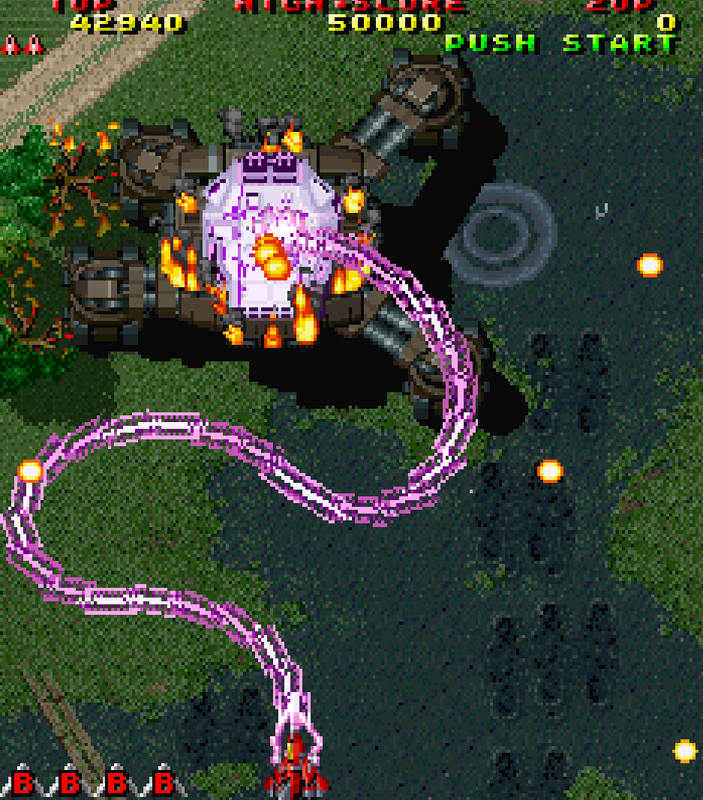 This is a tweaked and refined version of Raiden II, with more options and more advanced scoring mechanics. Specifically, you can choose from three levels: Alpha (training), Beta (5 stages), and Charlie (8 stages). Stages are remixed in the later Charlie level from the original Raiden II. It's kinda like the special champion edition hyper fighting version of Raiden. If you liked the earlier Raiden games, you'll like this as well. 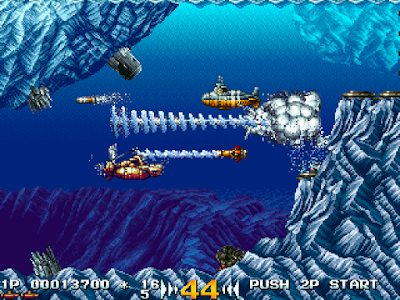 A unique game in that there are very few submarine-based shoot'em ups. Without doing too much digging I can say this is the best one. Developed by the same team members as the Metal Slug series, the detail oozes from every pore. The love that went into the character sprite design is unparalleled. For a traditionally slow moving vehicle like a submarine, you might think that the level of action would be muted, but think again. There is so much going on at one time, it can be difficult to focus. 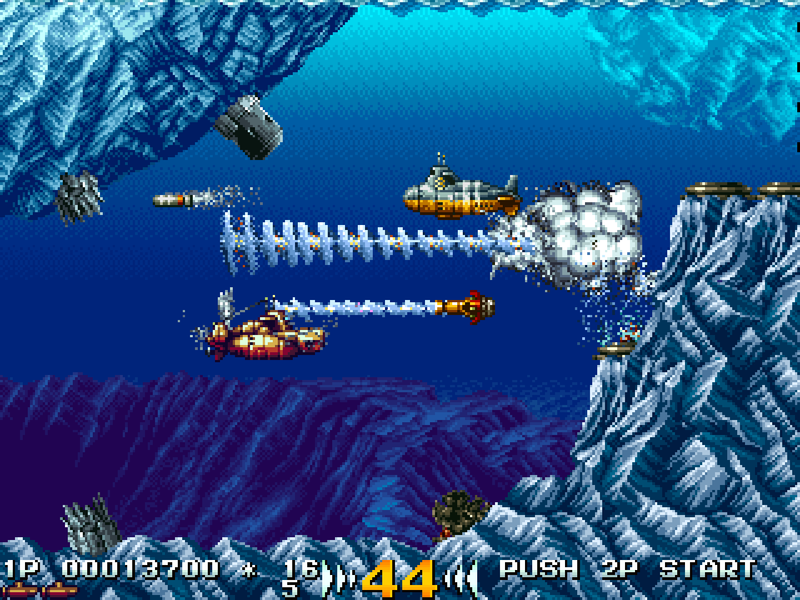 Each torpedo, depth charge, missile, and explosion is laden with follow through animations, giving the game a level of animation that is inspiring. This can lead to some slowdown, as would be expected, but its a worthy tradeoff. The first Zanac game on the NES was a difficult game. Even for its time, it was pretty impossible without a turbo fire setting. Zanac Neo, found on the Zanac X Zanac collection, shows its heritage in that regard. The visuals are fantastic, and the music is modernized with a trance - electronica grove thing going on, its reminds me of the music in Lumines. Like the original Zanac game, power ups are numbered, and you can level each one up if you collect them consecutively. It was developed my Compile, and similarities can be gleaned here and there if you follow the genre. I had more fun after I notched the difficulty down a bit. 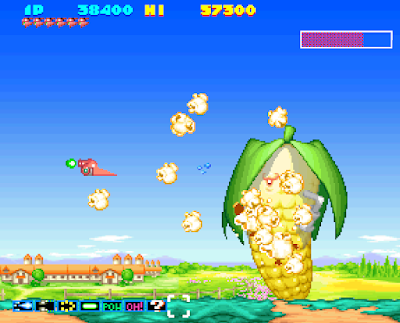 The Parodius series originated as a spin off of Gradius. The power up system and difficulty are the obvious give aways. 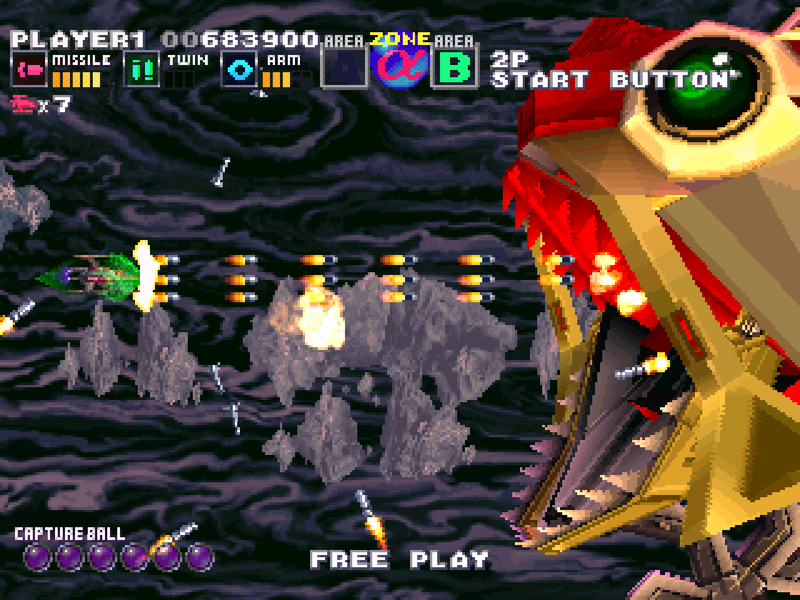 The stage and enemy design is laden with choices that make you wonder what the programmers were smoking. There are multiple releases for the Playstation, but they were Japanese exclusives, like many games on this list. They are worth tracking down, as they are definitely unique, and a refreshing departure from the usual grim shoot'em ups out there. 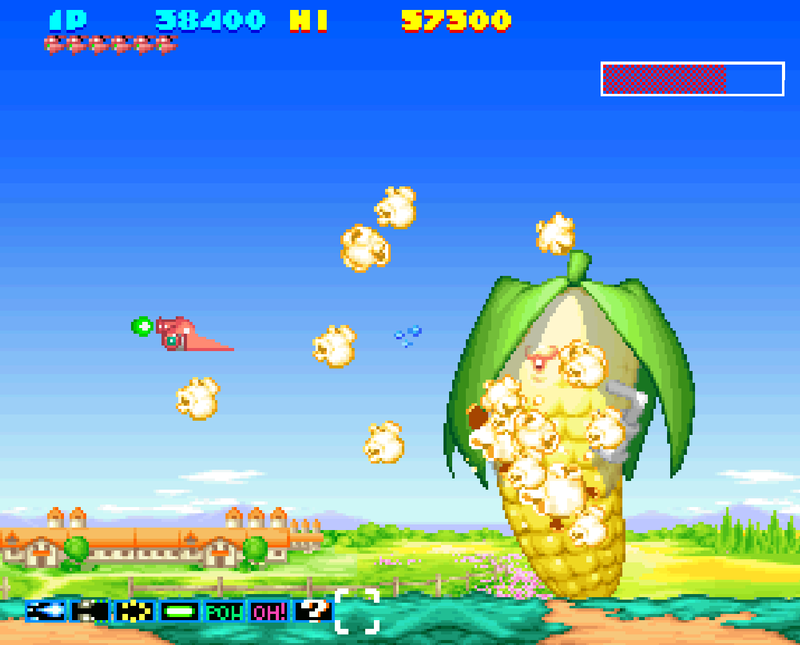 Once you get used to Parodius, the next step in weird shooters is Harmful Park. This game takes place in a theme park setting and builds stages around them. Roller coasters, zoos, candy shops, haunted houses all make for colorful and active scenery. Oddly, there is a wedding chapel scene where a distraught groom's tears sprayout and kill you. Makes sense. 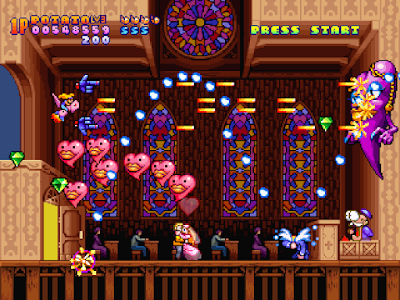 The weapons are as random as the stage design, employing pie throwing, shooting potatoes, and an sundae explosion. You can aquire a jello shield, becoming encased in a jello mold (like in The Office). If you die, you respawn automatically, which I much prefer. You'll likely die a lot as you get distracted by all of the random background happenings; its worth it as the game design is some of the most inventive ever seen in a shooter. This game is prohibitively expensive, it may be the most expensive shoot'em up on the system, so find another way to play. 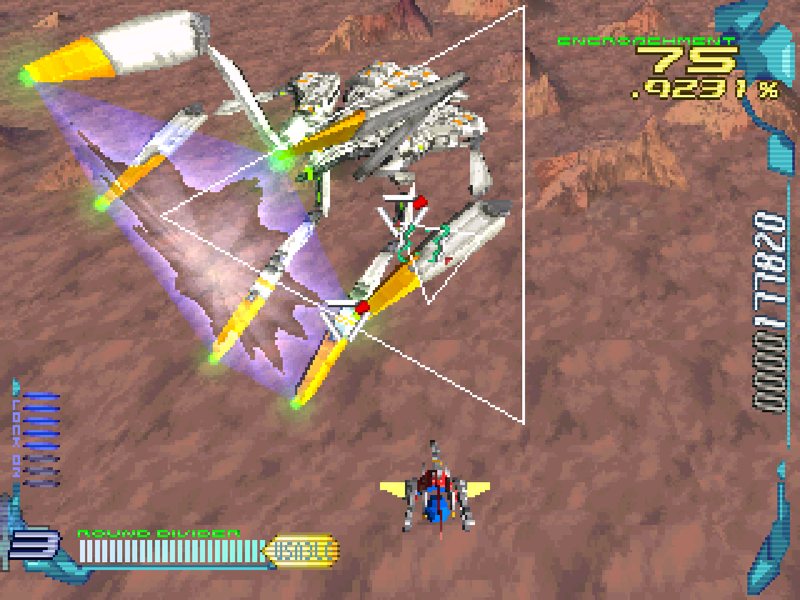 So that was my second tier of Playstation shoot'em ups. All good games in their own right, just not quite good enough to crack the top ten. What do you think? 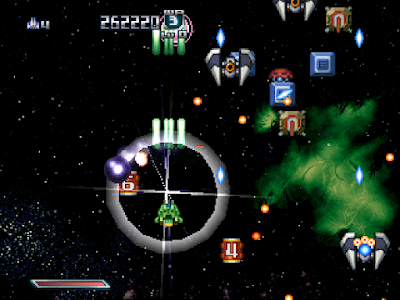 What shoot'em ups that are under the radar do you think should get more attention?